Discover together how God's way offers peace, contentment, and blessing while guarding us from foolish pitfalls. Find wisdom for full living even as we engage with a drag-down world. 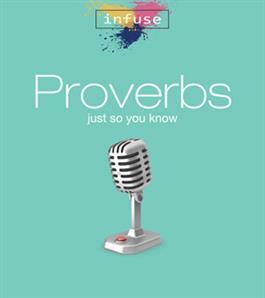 While proverbs are common to all cultures, the biblical book of Proverbs teaches the way of wisdom from God. In fact, God is the source of true wisdom—which has far more to it than a mixture of common sense and life experience. Discover together how God's way offers peace, contentment, and blessing while guarding us from foolish pitfalls. Find wisdom for full living even as we engage with a drag-down world.